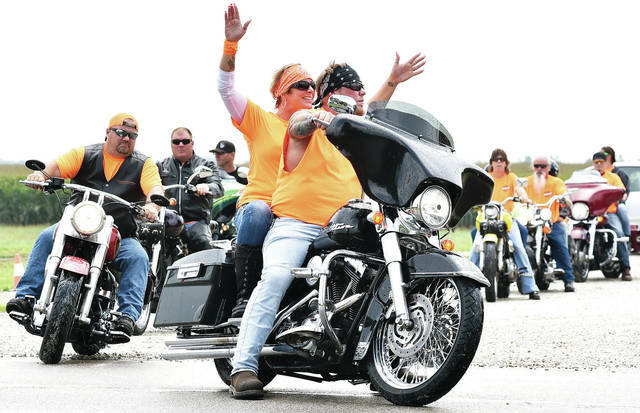 The Hope Thru Hospice Ride gets started as it leaves Sharp’s on state Route 47 Saturday, Aug. 26. Motorcyclists gathered to raise money for Wilson Health Hospice. Rain didn’t stop them from participting in the ride.